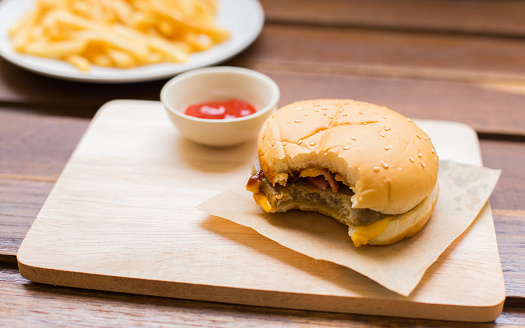 According to a new study published in the journal Osteoporosis International, living in a neighborhood that has easy access to fast food outlets may affect bone development during the early years of childhood. Researchers from the University of Southampton in the U.K. used data from 1,107 children that was collected from the Southampton Women’s Survey. The survey is a research project that aims to learn about the dietary lifestyle factors that influence the health of women and their children. The team compared the bone mineral density and bone mineral content of children at birth, and then at the ages of four or six, to the amount of healthy specialty stores, supermarkets, and fast food outlets in their neighborhoods. Results indicated that a higher amount of fast food outlets in the neighborhood was associated to lower bone mineral content/density in newborns. However, researchers discovered this link was not significant at ages four and six. They also discovered that having a larger selection of healthy specialty stores in the neighborhood was linked to a higher bone mineral density at ages four and six. Cooper suggests that if findings are confirmed with further research, then taking initiatives to improve food environments could help children’s bone development. There are initiatives already in place to improve food environments across the U.K. For example, local planning regulations won’t allow fast food outlets within 400 meters of schools. Paddock, C., “Fast food linked to poorer bone development in early years,” Medical News Today web site, October 14, 2015; http://www.medicalnewstoday.com/articles/300940.php. Vogel, C., et al., “Greater access to fast-food outlets is associated with poorer bone health in young children,” Osteoporosis International, 2015; doi: 10.1007/s00198-015-3340-6.